Now that the Senate has spoken, the overhaul bill could be law by February. Tunku Varadarajan offers a skeptical A-Z guide to the defining domestic political fight of 2009. The Senate has voted on health-care reform. As the nation exhales in profound relief—Christmas can proceed unsullied now—here is a lexicon that sums up, in skeptical fashion, the numerous issues, principles and personalities. A is for abortion, that American moral soap opera, which clambered onstage and threatened to bring a late-term end to the health-care bills in both the House and Senate. President Obama's precious baby was saved by canny (and expensive) midwives called amendments and add-ons. C is for C-Span, the only place where you can follow this story without being yowled at by naked partisans; Canada, a country with which we have free trade, unless you shop at one of their pharmacies, and whose health-care system has become a touchstone in the U.S. health-care debate: "There we go, but for the grace of God," say Republicans; "We oughta be like Ottawa," say many Democrats; and " Cadillac plans": Which genius thought to liken the most expensive private health insurance to tacky cars that no one drives anymore? E is for eight-hundred and seventy-one billion dollars, the Congressional Budget Office's estimate of the bill's cost, and for entitlements, sprinkled generously in the legislation like the nutmeg in your eggnog. (For a taste of one stashed in the Senate bill, I give you the "Community Living Assistance Service and Supports Act"—the acronymically delicious CLASS Act.) Spare a thought, in all this, for Alain Enthoven, eminent Stanford economist and father of "managed competition," whose theories became a hash in Congress, and who has written that "The tragedy is that the two laws working their way through Congress do practically nothing to slow health expenditures... The American people are being deceived." G is for government, as in gargantuan government (see "individual mandate," below) , and our fine-spoken president's first gaffe, in which he described the country as being on the "precipice" of health-care reform. (He meant "verge," of course, but ponder the likely snark-fest if his predecessor had spoken so infelicitously.) G is also for Atul Gawande, a very fine writer on matters medical and the White House's chief carnival barker on health care. H is for the House, where Obamacare had its first formal, fractious outing, and " historic," the word/ hyperbole most frequently deployed by Democrats to describe their health-care project. It's also for Health Savings Accounts, the Republican solution whereby people pay their own bills (weird, right! ), now likely to go up in smoke. I is for the individual mandate, which would require all Americans, by law, to purchase health insurance. Even the CBO has noted that "a mandate requiring all individuals to purchase health insurance would be an unprecedented form of federal action…. The government has never required people to buy any good or service as a condition of lawful residence in the United States." J is for John McCain, who appears to have sprung back to political life from a semi-recumbent position. As the health-care bill reached the Senate, the Arizona Republican reached for his thesaurus, railing against the "Cornhusker kickback" and the "Florida flimflam," while also describing the bill as "one of the great Bernie Madoff gimmicks that I've ever seen, that anybody's ever seen." K is for Ezra Klein, clever policy pisher and Obamacare's blogger in chief. Read him here. Q is for quid pro quo: See Louisiana, Montana, and Nebraska, above, and Vermont, below (also Connecticut, Florida, Michigan, North and South Dakota, and Wyoming); and quality of care, which is likely to decline—is it not?—when all medicine is the bailiwick of Congress. T is for taxes, the explosive parallel narrative of health-care reform. U is for unconstitutional. That's what Richard A. Epstein, a pre-eminent libertarian law professor, says he thinks of the bill. His argument is deeply wonky, but don't disregard it, especially with the Roberts court in place. U is also for the uninsured: Wasn't this whole gaudy spectacle put on just for them? And was their situation really so bad as to require, as a "fix," the greatest social-spending program in American history and the turning of our health-insurance industry into a public utility? V is for victory (Pyrrhic), and vast numbers, of which, herewith, a small sample: The House bill is 2,032 pages; the Senate bill 2,074 pages; amendments to the latter, 383 pages; Medicaid reimbursements to Vermont, $600 million; the cost of reform, $871 billion, and counting (see "E," above). W is for The Wall Street Journal's editorial column, which has provided the intellectual opposition to Obamacare so lacking in the Republican Party. Never one for mealiness of mouth, the column, memorably, described Pelosi's House bill as " The Worst Bill Ever." X is for Xmas, once a Christian holiday, now a secular political deadline. Y is for those very expensive " yes" votes (see A, L, M, N, Q, and V, above). Z is for the Zeitgeist: Will the Times still be for Obama once the costs begin to kick in? That, dear readers, is the zillion-dollar question. 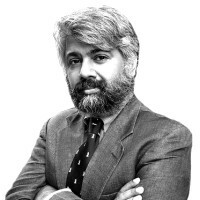 Tunku Varadarajan is a national affairs correspondent and writer at large for The Daily Beast. He is also a research fellow at Stanford’s Hoover Institution and a professor at NYU’s Stern Business School. (Follow him on Twitter here.) For this week's column, he'd like to offer a tip of the hat to: Nancy Blakestad, Jeff Bliss, David Gratzer, Rebecca Rothman Klein, Joel Kotkin, Thomas Lipscomb, Michael Maiello, Lawrence Osborne, Joseph Rago, Mark Rice, Hugh H. Shull III, Lionel Tiger, Salil Tripathi, and Catherine Barr Windells.